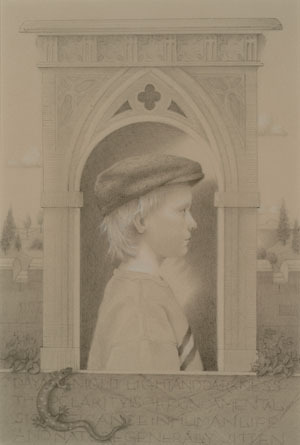 The traditional technique of metalpoint (also known as silverpoint; i.e. drawing with a piece of silver) is increasingly popular. This workshop offers students the opportunity to draw with a variety of metal tips including silver, brass, and copper. Koo will explain all aspects of the medium: types of surfaces to work on, adding highlights and colors to a drawing, and how to speed up the oxidation process. Students will make for themselves several different drawing surfaces starting from scratch. Each students goes home with Koo’s metalpoint instruction booklet and a complete metalpoint kit to continue working in the medium. Open to all levels, from beginning to experienced draftsmen. Open to all levels of painter, from beginner to advanced.